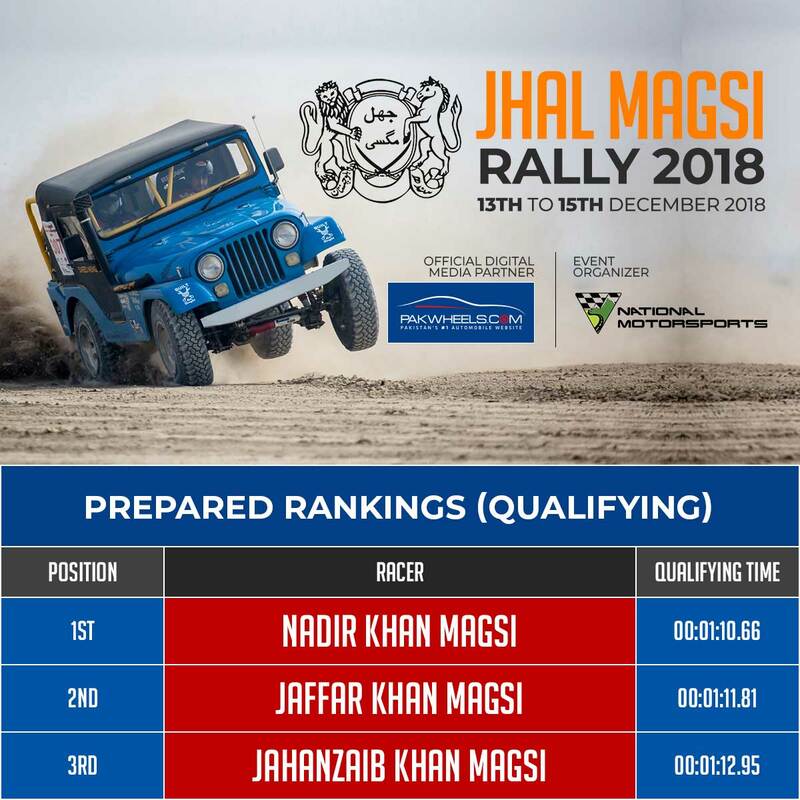 Jhal Magsi Desert Challenge 2018 – Nadir Magsi wins the qualifying round! Organized by National Motor Sports, the thrilling Jhal Magsi Desert Challenge 2018 has begun with the Qualifying round today, in central Balochistan. Nadir Magsi has won the Qualifying round in Prepared Category by completing the 2 km track in 1 minute 10.66 seconds, while Jaffar Magsi completed the track in 1 minute 11.88 seconds and Jahanzaib Khan Magsi completed the track in 1 minute 12.95 seconds. In the Stock Category, Zarain Magsi won the Qualifying round by completing the track in 1 minute 17.53 seconds, while Haji Waheed and Nawaz Dashti stood second and third, by completing the track in 1 minute 17.91 seconds, and 1 minute 18.23 seconds, respectively. Started today, the rally is a three-day event, where 4×4 SUV racers have come to race from all over Pakistan. 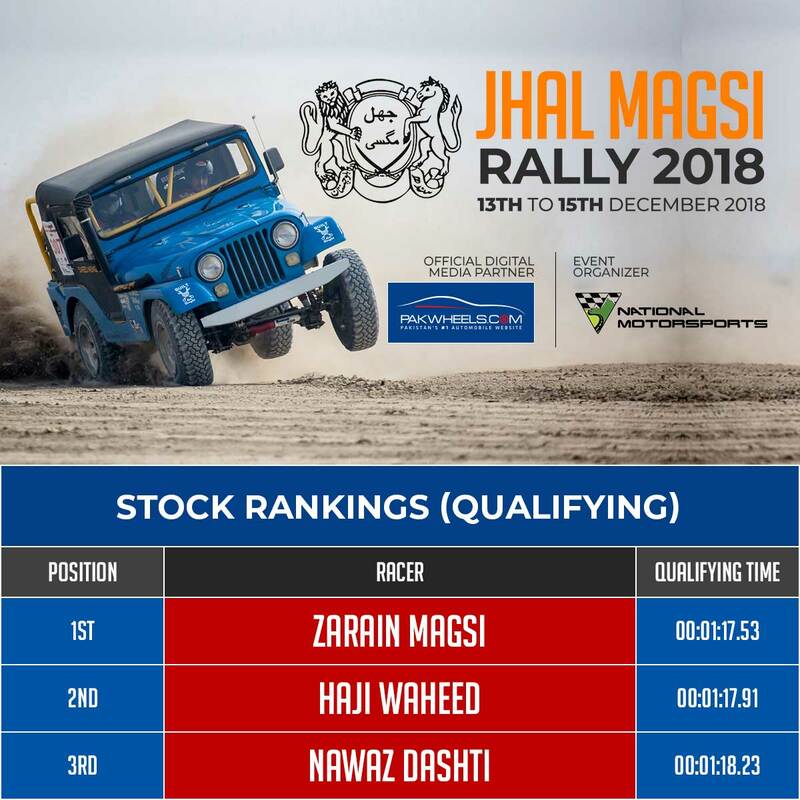 With more than 50 participants, Jhal Magsi Rally has 9 categories, which are Prepared Category A, B, C, and D, Stock Category A, B, C, and D, and Women Category. Renowned rally drivers like Nadir Magsi, Zarain Magsi, Sahibzada Sultan, and Jaffar Magsi are taking part in the rally. On final Prepared and Stock race days, the participants will be competing on a 220 km track. The race has been divided into 2 stages, where the starting point would be Stage 1, ending at 78 kms and drivers can take a break. The Stage 2 will be of 142 kms. Jhal Magsi desert is considered to have one of the best racing tracks in the whole country. From the muddy terrain to gravel and waterbed, Jhal Magsi gives a thrilling experience of rally driving. Started back in 2005, the Jhal Magsi challenge is in its 14th year and has evolved with great and renowned racers taking part in it every year. 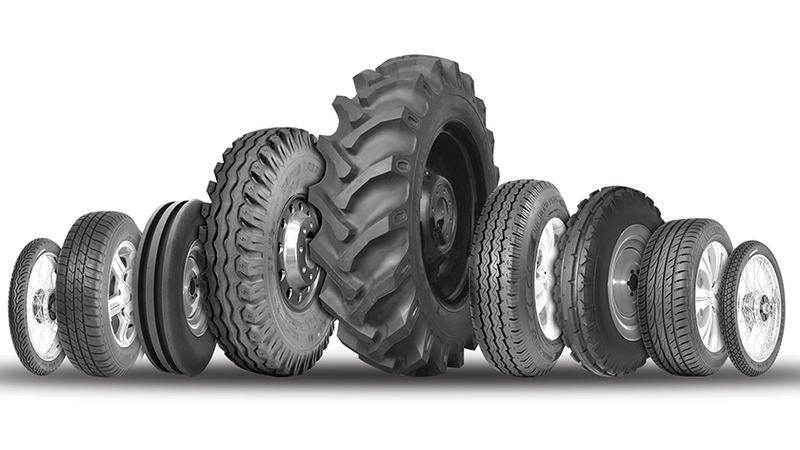 It is one of the most sought-after racing experiences, where vehicles get checked thoroughly, and after meeting certain criteria, the drivers get a chance to participate. Moreover, a complete medical facility has been deployed all over the track to ensure timely medical assistance in case of injuries. 13th December 2018 – A thorough car inspection, followed by Qualifying race. 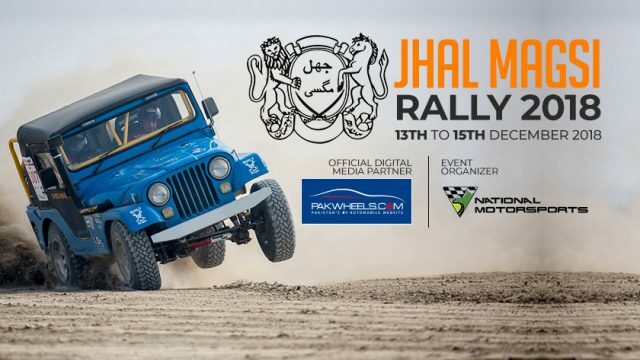 Supporting the spirit of motorsports in the country, PakWheels.com has joined hands with the Jhal Magsi Desert Challenge 2018 as their exclusive Digital Media Partner. Moreover, CM Balochistan Jam Kamal Khan and Southern Command of Pak Army will be visiting as the Chief Guests of the event.